Whether it’s a wedding, a corporate event or a family celebration, planning any function takes research and preparation. It also requires the event organiser and the venue to work closely together in a bid to ensure any function meets the expectations and needs of the guests attending. 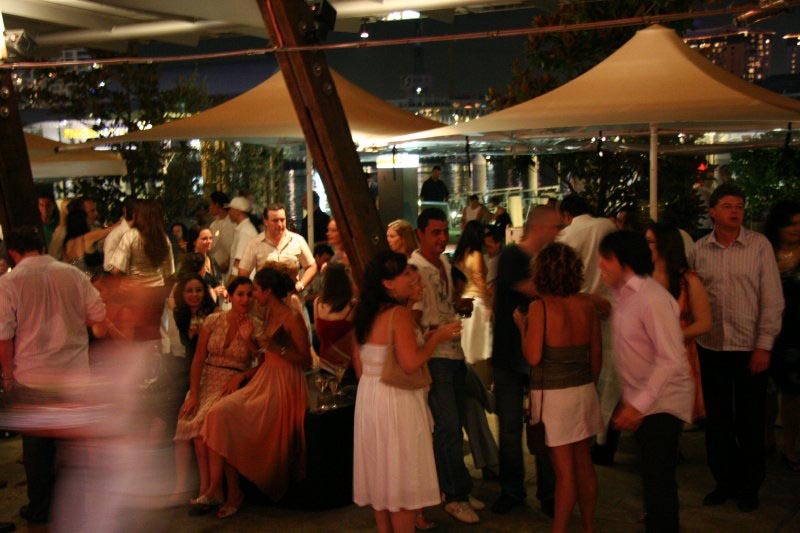 As a premier Sydney eatery, George’s Mediterranean Bar and Grill hosts hundreds of functions at our Darling Harbour venue each year, so here’s our ultimate guide to hosting a function in Sydney. A wedding will be a vastly different function to a corporate Christmas party or product launch, but often the planning that goes on behind the scenes is remarkably similar. The organiser will need to know key details like budget, numbers and entertainment requirements. There will need to be invites sent and RSVPs received. Menus will need to be considered as will any special guest needs. Corporate events can be formal or informal, festive and grand, intimate or casual. It just depends on the size and type of event your business is hosting. 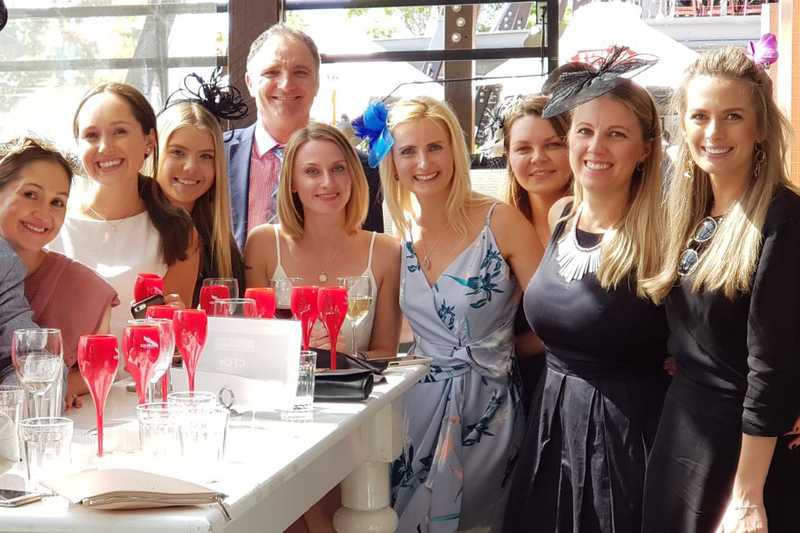 From business luncheons, to industry roundtables, product launches and office Christmas parties, corporate functions offer the opportunity to bring the work team together or conduct business in a setting far from the office. Ranging in size from small groups to full venue hire, the working lunch is the opportunity to conduct business over a meal, and in a setting removed from the office environment. Working lunches are often used to undertake training, host a networking event, offer an industry update or simply bring people together or celebrate a working achievement. Often used for social style events with that extra touch of glamour, the corporate evening soiree is a great chance to launch products, celebrate major corporate milestones or network without the pressure of heading back to the office. 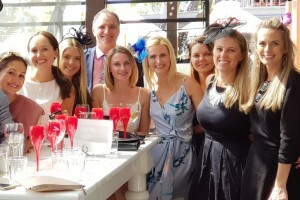 Perhaps the most famous work celebration is the annual office Christmas party, but Melbourne Cup, retirement celebrations and even major corporate milestones all offer the chance for colleagues to celebrate at a venue removed from the work environment. Is this a social style corporate event where attendees should mingle and chat, or is it an event where they should be seated to take in information? This is an important consideration because it affects the venue set-up and also the menu. And in some cases, you can have a bit of both, where people mingle and chat over light canapes and are then seated for the formalities of the day. The type of event you are looking to host will also impact the style of venue you select. Product launches might be suited to an al fresco, casual setting where people can mingle over drinks and finer food, but a seminar or industry event involving multiple speakers might be best hosted in a more private indoor setting. If there is to be entertainment, speakers or presentations, audiovisual equipment will be required. You need to discuss this with your venue in advance and ensure the required equipment is compatible with software or computers you intend to use. The organiser of any function needs to consider how they would like the space set up, particularly if they have opted for the exclusive hire of an entire area. A seminar might see tables shifted into a horseshoe shape, while a Christmas party might involve name cards and allocated seating. When planning this, consider the aim of the function and whether there are corporate protocols that should be applied. Meanwhile, if there are speakers, those who need to talk should be positioned at tables close to the AV equipment, and tables should be arranged so everyone can see. Depending on the type of event, alcohol may or may not be included. A seminar or daytime industry event is more likely to just feature tea and coffee, while an evening event implies that alcohol will be offered. When sending out invitations to any corporate event, organisers should be very clear about what is included and what is not. Will attendees be required to foot their own bill, or is the event to be paid for by the business? If the business is footing the bill, is it an open bar or just wine and beer until a set time? Is there a set timeframe and estimated end time? What is the dress code for evening soirees or celebrations? 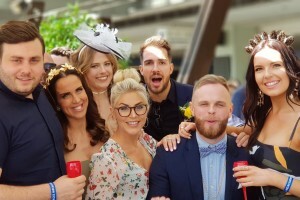 For events like the Melbourne Cup, attendees might be required to pay their share in advance. Give them a clear indication this is the case and set a date for payment. 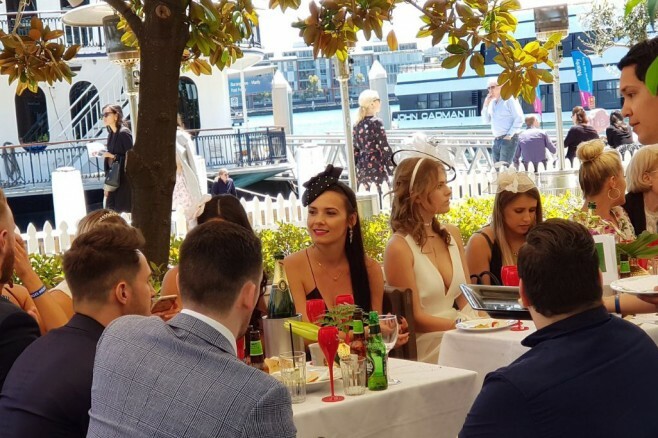 With our spectacular views over the waters of Darling Harbour, George’s Mediterranean Bar and Grill has enjoyed hosting many weddings over the years – some traditional, some casual, some just truly romantic events. Here’s a quick rundown on what you need to consider when hosting a wedding function. We’ve catered to weddings on weekdays and weekends, during the day and during the evening, and really the decision comes down to what suits the happy couple and the type of event they intend to enjoy. It also comes down to the budget and the number of people they intend to invite, or the availability of the venue. Sydney’s a very big city, so when seeking out a reception venue, the couple should carefully consider the practicalities of the distance between the ceremony and wedding venues. Ideally wedding guests will be able to walk from one venue to another or make a quick commute while the newly married couple have their photographs taken. This interval in proceedings is the perfect opportunity for guests to mingle and enjoy light drinks and canapes as they await the arrival of the happy couple. Long gone are the days where every wedding was a three-course affair. Weddings can range from cocktail style events to full set menus and formal seating. The choice is the bride and groom’s to make and depends on the type of day they wish to enjoy. If you’re looking for a truly private event where you have the run of a venue, then booking the entire restaurant for a wedding is ideal. This allows guests to mingle in the varied areas, enjoying lounges for casual drinks and chats, while making use of the seated plan for speeches and formalities. At George’s you can opt to book the lounge and bar area where you can enjoy a more casual atmosphere and waterfront views, the dining area, which is intimate and private, or the entire venue. From the flowers to table decorations and themes, chances are you want your wedding to reflect your personality and style. If you’re planning on decorating to suit your wedding, talk to the venue about your wishes. Not only will they be happy to assist, they might also have some great suggestions for suppliers like florists and entertainers they have worked with in the past. The likelihood is there will be at least a couple of speeches or maybe even live entertainment and dancing at your wedding. At George’s we have the option of incorporating a dedicated dance floor into our floor plan for events, and we also have audio visual equipment available including microphone’s and an area for bands. From hen’s nights to Mother’s Day and 21st birthday parties, we’ve been privileged to share in a wealth of celebrations during our many years in the industry. We can accommodate every type of function, from intimate family dinners of up to 44 in the dining room, to large groups for birthday parties and up to 350 people for full scale cocktail events. Venues can be booked out months in advance, so talk to us early about your event plans including a rough idea of the style of event you intend to host, and the number of people likely to attend. The number of people invited will impact the floor plan and whether a seated or cocktail style event is suitable. Numbers and menus will also need to be confirmed in advance to assist the kitchen in catering large scale events. Your budget is a key consideration. At George’s we can tailor cost-effective food and beverage packages, theme our Sydney function rooms and host live bands to ensure your event is a success. From light canapes to buffets, banquets and to full dining packages and alternate drop menus, George’s has a variety of menu options to suit any budget and style of event. You can see our function menu here or talk to our friendly staff for an option to suit your needs. We can also accommodate special dietary requirements. Please advise our staff in advance so we can assist. George’s has a range of beverage packages available for functions, with options including beer and wine packages on a per person basis to premium pre-selected wines served as required. You can see our beverage packages here. George’s can accommodate up to 350 people in a variety of function configurations.